Westworld with Jay, Jack and Mike: Ep. 2.10 "The Passenger"
Westworld with Jay, Jack and Mike: Ep. 2.9 "Vanishing Point"
Westworld with Jay, Jack and Mike: Ep. 2.7 "Les Écorchés"
Westworld with Jay, Jack and Mike: Ep. 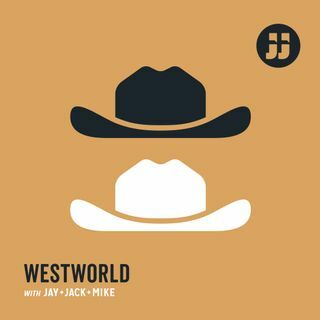 2.6 "Phase Space"
Westworld with Jay, Jack and Mike: Ep. 2.5 "Akane No Mai"
Westworld with Jay, Jack and Mike: Ep. 2.4 "The Riddle of the Sphinx"
Westworld with Jay, Jack and Mike: Ep. 2.3 "Virtù e Fortuna"